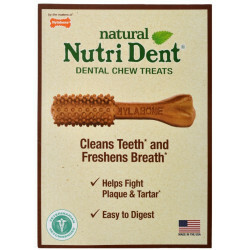 Nylabone Nutri Dent Natural Filet Mignon Dental Chews feature a great tasting, gluten-free formula made of natural ingredients with no plastic, no added sugar or salt and no artificial color. The patented design helps control plaque and tartar while freshening breath. These chews are all natural and made with reduced ingredients. 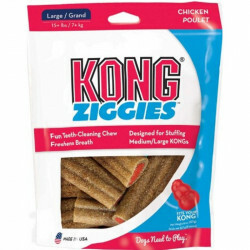 They're completely edible and as digestible as super-premium dog food, and are clinically proven to be better than brushing. 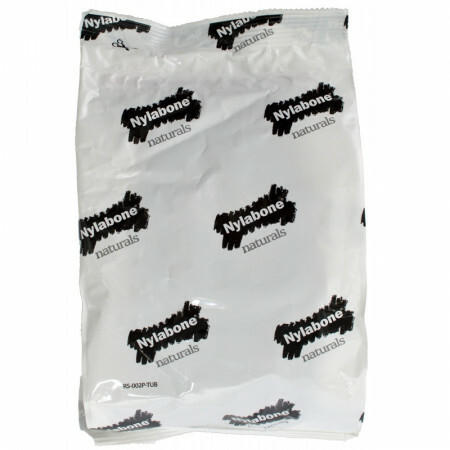 Resealable package maintaints freshness. Note: Formerly sold as Nylabone Nutri Dent Complete Filet Mignon Dental Chews, now with a healthy, natural formula. Feeding Guide: Feed up to 3 chews per day. Always supervise chewing and provide plenty of fresh, clean water. Recommended for dogs with all of their permanent teeth (usually around 6 months). Feed as a treat only; not intended as a meal. My Morkies cant get enough of them! 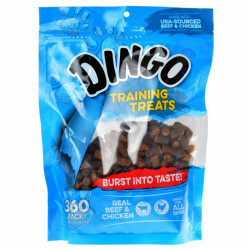 My morkies love these treats and they are great for their teeth!Love that they are USA made!!! My dogs will beg for seconds every time they get one of these treats. They are great for their teeth too. I have a 10, 5, and 2 year old and none have ever needed a teeth cleaning. The vet says they are doing great. My dog loves these. Looks forward to his "tooth brush" every night. They shipped quickly. My pugs love these dental chews! My pugs are approaching their 4th birthday. I have been giving them Nylabone Nutri Dent Complete Dental Chew (filet mignon flavor) for over 3 years. They love them which is great because my vet says they have amazingly clean teeth! My dogs enjoy 2 a day but would eat more if I let them. I buy them in bulk which is an easy way for me to have plenty on hand. Pet Mountain gets my order to me quickly, so we're all happy! Our two Pomeranian just love these as the size is perfect for them both. Small breeds need to keep their teeth clean otherwise they will lose them and these do the job. They enjoy chewing on them while their teeth are being cleaned. Happy I found these as neither one really liked the green ones that are sold. Can't go wrong if you buy these for your little dog. They also come in bigger sizes for the bigger doggies. Our one Pom just loves these and won't eat any others. Not only are they good for cleaning his teeth, since small dogs do need to keep their teeth clean, he totally enjoys chewing on them. I have tried other dental chews but these he actually sits by the door where I keep them to let me know it is time for the second one he gets as a treat. Great product, does the job, and his loving them is the 2nd best thing about these. The first best thing about them is they are made in AMERICA...great combination for a great product. I have ordered this item four different times and it arrives in a timely manner and my two dogs love them and they got a good dental report at the vet this year. Molly loves her nylabones. I have been ordering them in bulk for over a year. I have always ordered bulk. It was always 8 x 32. The price has increased through the years which is understandable, however last time I ordered them they were on sale 50% off, great deal except it was deceiving since the bulk is now only 4 boxes.